When we think about a visit to Yellowstone National Park, we often think about the sights: the awe-inspiring geysers, breathtaking scenery, and fascinating glimpses of wildlife. But what about the sounds of Yellowstone? And we’re not just talking about birdsong and babbling brooks–you can also check out some incredible musical talent in the park. 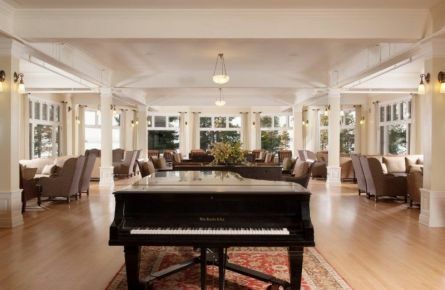 Sunday through Thursday from 5-8pm listen to pianist Randy Ingersoll delight visitors in the Mammoth Hot Springs Hotel Map Room. After he’s done playing be sure to check out his slideshow from 8:30-9:30pm. 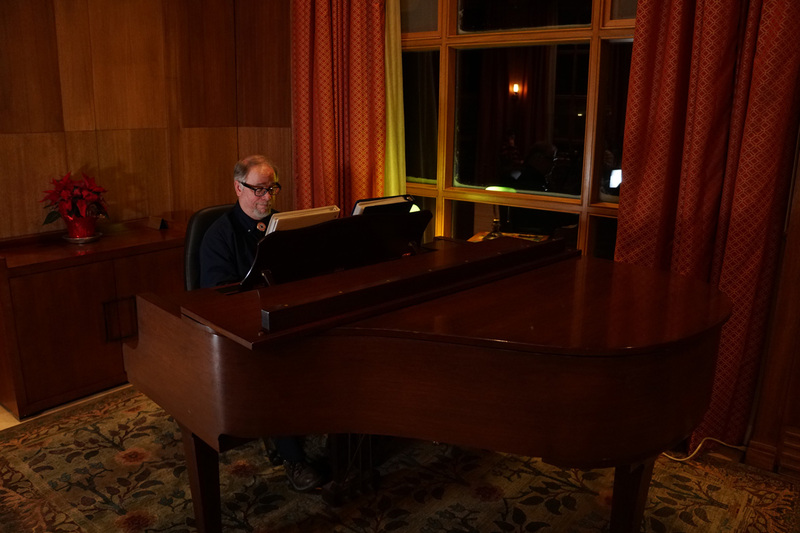 Each night from 6pm-10pm listen to a musician while enjoying the rustic, classic architecture of lobby of the Old Faithful Inn. Musicians vary depending on time of the year, but you are sure to be delighted by a talented musician include: Martha Colby, Rom Swafford, Meghan Stagl, or Tara Cross. 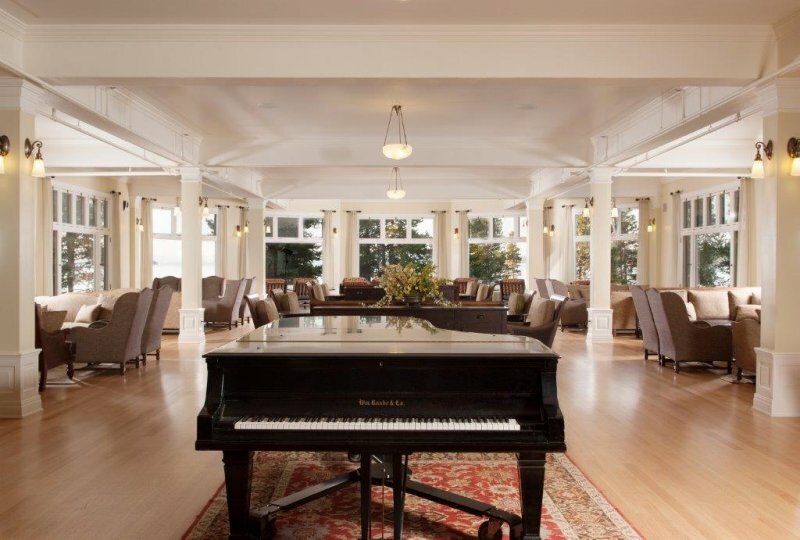 From the middle of June through the beginning of August, the Lake Hotel Quartet performs Thursday through Monday evenings in the Lake Hotel sunroom. The Quartet consists of Tim Tan, Colleen Tan, Sheridan Currie, Carl Larson, Leanne Darling, Carl Larson, and Martha Colby. When the quartet isn’t playing, enjoy the piano stylings of Catherine Foley. 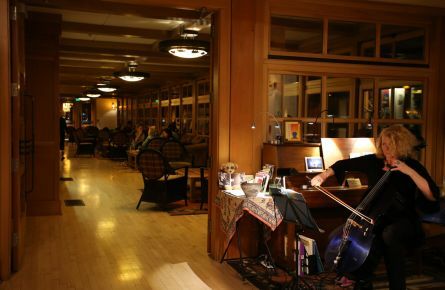 Throughout the winter enjoy the musical stylings of Martha Colby (Cellist and Pianist) evenings in the lobby of the Old Faithful Snow Lodge. Learn more about Martha Colby, a cellist, pianist, and vocalist who frequently performs in the park. The otherworldly grandeur of Yellowstone has inspired a melodic earful from multiple composers and performers.